Ladies, look out! 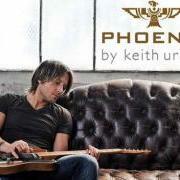 Country superstar Keith Urban is launching a fragrance just for you. The singer, known for his good looks and iconic hair, rolled out his men's scent Phoenix (pictured here) recently and is now getting in touch with his feminine side. Urban told USA Today that he leans toward fresh scents, like clean laundry, mowed grass and burning wood. Phoenix is comprised of plum, blackberry and cognac.